The big, yellow box. Most motorists fear it and hit the brakes, once it comes into sight. Some of us even have our SatNavs set to identify latent speed cameras before they spot us! To many, speed cameras are there to make a profit out of motorists for the government, by charging expensive speed fines. For others, speed cameras are a necessary evil, to enforce driving speed limits on those who are not responsible drivers. But the question on everyone’s lips is: do they really cut road accidents? Or are they just a roadside nuisance? 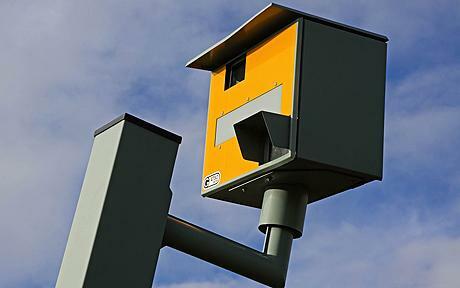 Speed cameras started cropping up in 1992. Safety campaigners were obviously delighted, but you could sense the groans from motorists around the country. However, with the announcement from government that they’re cutting their road safety budget by 40%, the speed camera race is now in danger. In certain areas of the country, these yellow boxes are being withdrawn. But is this for the best? Is this not putting motorists in danger? In Buckinghamshire and Berkshire, when 212 speed cameras were fitted, the local authorities saw a 38% drop in traffic collisions. That’s a staggering result. However, if we look at the national figures, the amount of road deaths has not changed since the speed cameras were installed. On the other hand, there has been a cut in serious injuries. The lack of tangible changes in accident figures is being put down – for some – as safer manufacturing for cars. Swindon has begun shutting off speed cameras, as it maintains that only 6% of road accidents are caused by speeding, in that area. When they retired their yellow boxes, they maintained that there was no change in the level of accidents. Contradictorily, research conducted by the University College of London showed that, after analysing 4,000 speed cameras over three years, there was a 42% reduction in road deaths in those locations. If these figures stand true, removing speed cameras would be pure madness and financially inadvisable, when you consider the strain this would put on the NHS and the potential lives at risk. So which is it? Good or bad? Others, such as roadside assistance company RAC, maintain that fixating on speed cameras is not the way to go. The wider problem has a greater impact and should have more attention; that issue is the cuts to road safety, made by the government. Without the funding, how can the UK make their roads more secure? The legal sector is set to take a hit too, if accidents increase. Expect to see an upsurge in head and leg injury claims. Who will enforce speed limits? The police, which have also seen a reduction in resources and manpower, will be left to pick up the slack with hand-held devices – this equipment is directly funded by the police force. Effectively, the government is passing the buck here! With horrific consequences for high levels of road accidents, this could become quite a startling national problem.